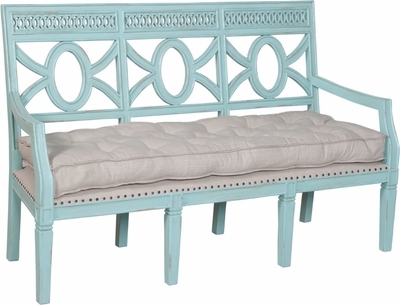 COTTAGE BENCH - Surf City with light distress finish on hand carved mahogany bench. Upholstered linen seat with tufted linen cushion. H 40" x W 62" x Depth 23"